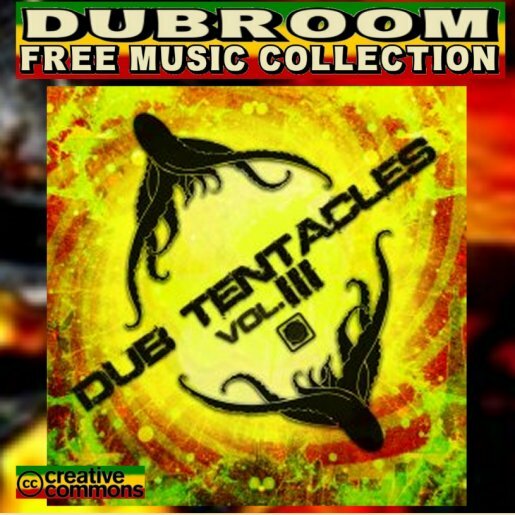 WWW, August 2012 - The third installment of FRESH POULP's Tentacle of DUB Compilation Series gives an oversight in not only DUB but also styles that derive from it, like Dubstep. A style that not every lover of DUB will apprecilove in the same manner, and so this album does not just contain Dubstep but also styles "closer to home", let's say. "Don Dub" by Malta-based Mind's Eye DUB is the fourth track and the first upright, no-nonsense Roots Reggae track. Some great melodica and the typical bubbling organ. It's followed by Ackboo's "Holy Mount Zion" featuring Steve Steppa: a hard hitting steppers rhythm as the Book of Bibles is quoted and excellent singing is done. Mahom's "Darker, Stronger, Dubber" is your typical digital Steppers DUB with loads of changes and filters, candy for the ear of those that can and do apprecilove some electronic DUB. Over here in the Dubroom it is definitely received with joy! The very same can be said about "Dubalalla" by A Man Called PJ: massive drum and bass at the foundation of a continuous stream of sounds and effects. The albums closes of with "Praises", a great track by the Roots Revival Sound System. Praises to the Most High JAH in a Roots Reggae DUB Style. Yes, there is more than enough material in this third chapter of Dub Tentacles to make you want to download and listen.